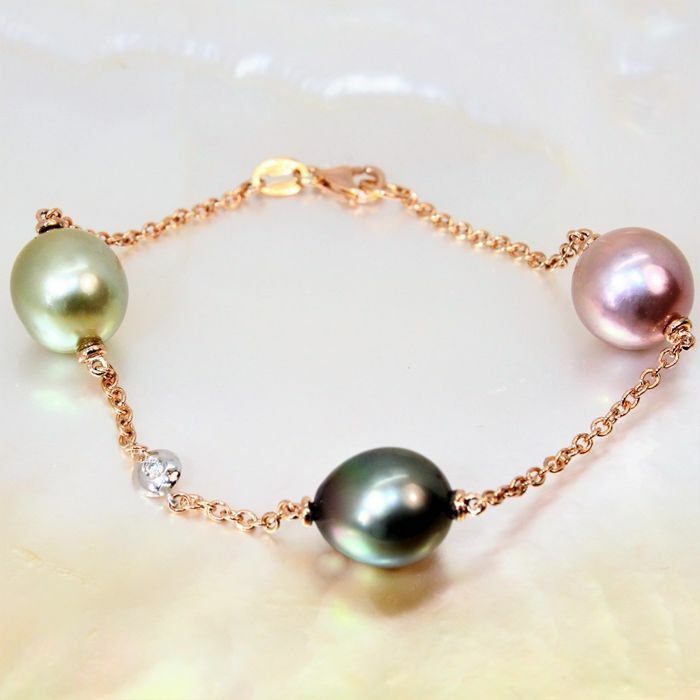 750 gold necklace with cultured multi-coloured pearl measuring 11 x 12 mm with diamond. 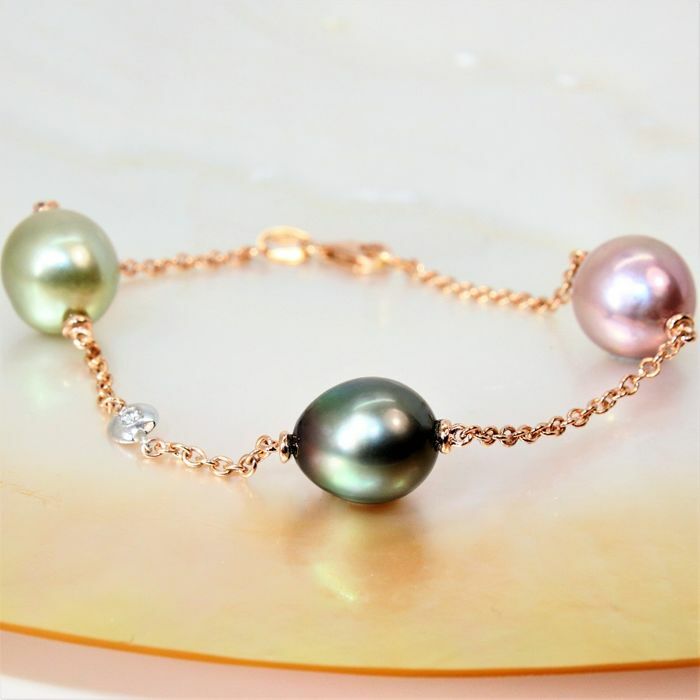 Magnificent bracelt in rose gold of 18 kt with diamond and cultivated oval-drop Tahitian and freshwater pearls. 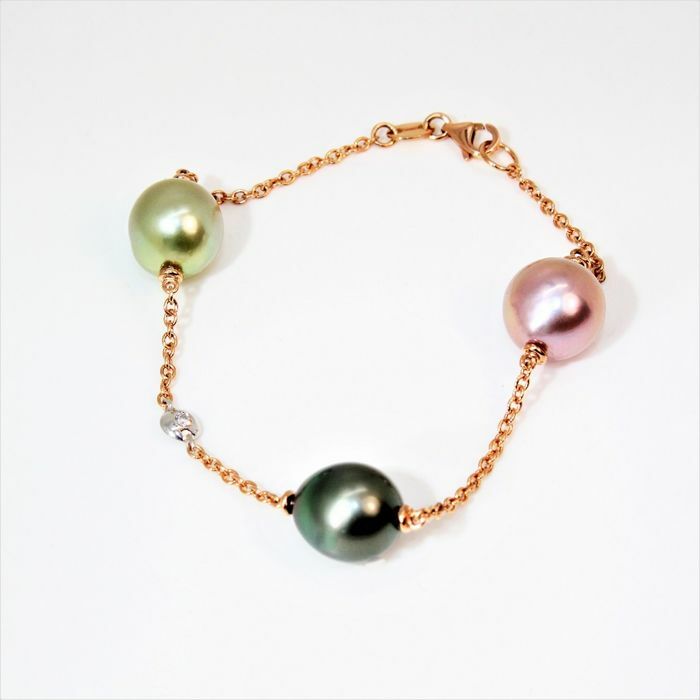 Splendid 750 rose gold bracelet with cultured Tahiti pearl and freshwater pearls measuring 12 x 13 mm, in natural colours. With 1 brilliant-cut G/VS diamond for a total of 0.02 ct.
Natural colours: black/peacock green with aubergine and pink tones. Comes with certificate of authenticity and packaging. As we will be away until March 4th, 2018, we will send the lot on the 5th. Shipped from Switzerland (outside of the E. 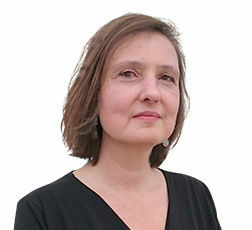 U.). Import duties and taxes in the destination country are at the buyer's expense, to be settled directly with the courier upon delivery. Shipped by FEDEX. 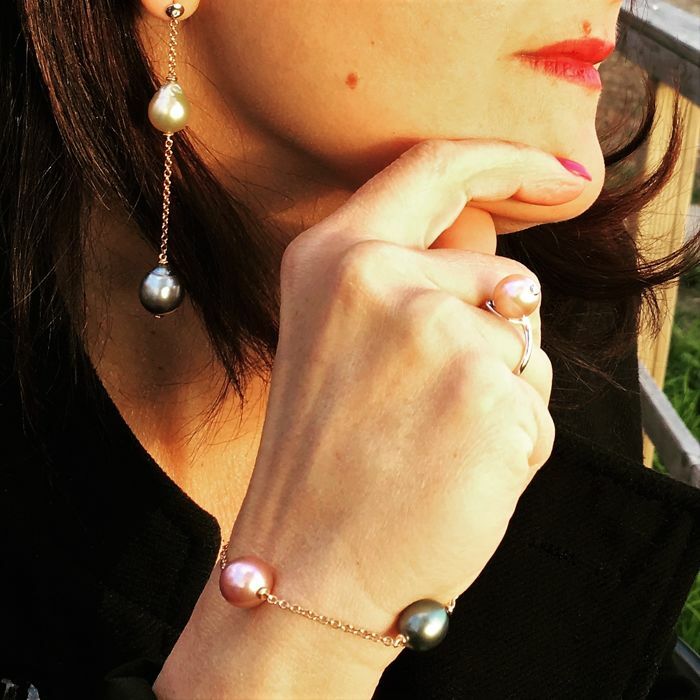 (For private clients, please directly contact the FEDEX office in your country and tell them the tracking of the package in order to facilitate the import procedure - Note: for France we ship via registered Swisspost international). Both items arrived and both are pretty. The bracelet looks great but I am unable to get it on my wrist, which is a shame. The seller has been in contact to offer help with bracelet, waiting for that.